Victory for the women and girls of the world! Implementing the Guiding Principles on Business and Human Rights. There are 4 references to debt. Paragraph 21 The Commission expresses deep concern about ‘indebtedness’ in some countries and widespread fiscal strains that pose challenges for global economic recovery… Paragraph 22 recognize that the long-term sustainability of debt depends on (my interpretation) business as usual model – ‘export prospects of debtor countries’ and ‘sustainable debt management’. There is no hint of any structural transformation nor any mention of Guiding Principles on Business and Human Rights. Paragraph 17 states that ODA remains inadequate to the task. Further austerity measures have impacted women and girls negatively. Paragraph 23 The Commission recognizes significant underinvestment in gender equality and the empowerment of women … that limits progress on the MDG’s for girls and women of all ages. …It stresses that the available resources, through domestic resource mobilization and ODA, and their allocation remain a concern and are often inadequate to the task. Paragraph 25 has references to national machineries for the advancement of women and the need to endow these machineries with the necessary human and sufficient financial resources to enable them to function effectively. Under the heading ‘Maximizing investment in gender equality and the empowerment of women’ on page 21 (v) reads increase and ensure the effectiveness of financial resources across all sectors to achieve gender equality … through mobilization of financial resources from all sources, including domestic resource mobilization and allocation and increased priority to gender equality in ODA, and the creation of voluntary innovative financing mechanisms, as appropriate. Finally (z) reads increase resources and support for grassroots, local, national, regional and global women’s and civil society organizations to advance and promote gender equality. What support are your receiving from your government to operate services promoting gender equality? The weakness in all these references in the agreed conclusions is that no concrete funding has been identified for implementation of any aspects of the MDG’s. The second set of recommendations concern girls’ and women’s Human Rights. In the draft of February 4th, 2014 there was no mention of the Convention on the Rights of the Child nor the United Nations Convention on Transnational Organized Crime and its supplementary Protocol to Prevent, Suppress and Punish Trafficking, Especially Women and Children. I am happy to see them in the agreed conclusion. The full list of Security Council Resolutions were names including the latest one 2122 (2013) that was passed after submission of the statement. The Commission also added relevant Security Council resolutions on children and armed conflict. 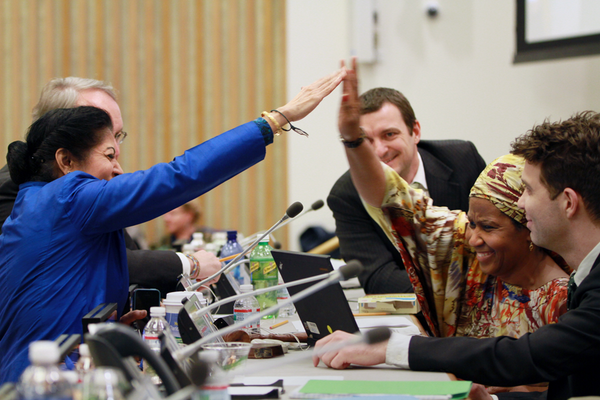 Of course, CEDAW and the Beijing Declaration and Platform for Action remain central to gender equality. However during the negotiations some member states were invoking ‘sovereignty’ at national level in relation to the implementation of women and girls human rights? Lastly, while ILO Recommendation 202 on national floors of social protection was not named there are six references to social protection. In paragraph 10 (MDG 1) notes the lack of access of people living in poverty to social protection and pensions. Paragraph 12 (MDG 3) notes insufficient social protection and insurance coverage for women. In the section under Realizing women’s and girls’ full enjoyment of all human rights (g) social protection is named as a way of addressing the multiple and intersecting factors contributing to the disproportionate impact of poverty on women and girls over their life cycle. In (n) universal social protection is promoted and (o) prioritizes social protection policies and lastly (r) that in crises funding for essential services and social protection systems be promoted. Since I wrote the caption it has been announced that the meeting will not start until 10.00 p.m. Rosa G. Lizarde uploaded some pictures and send an update at 7.30 p.m. At that stage the paragraphs relating to climate had been agreed. 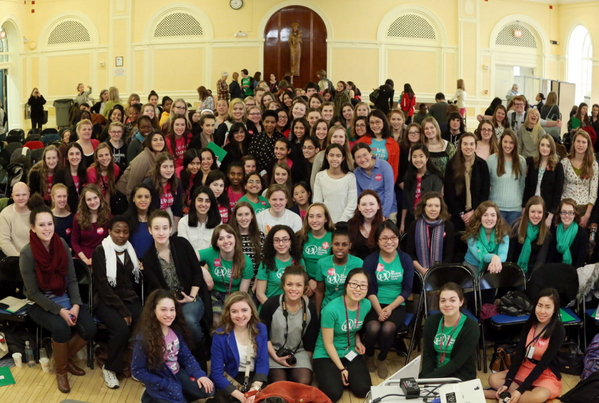 We’ve been informed that the CSW will meet again in plenary in less than one hour to adopt the full Agreed Conclusions of the CSW 58. The Facilitator is currently drafting a Facilitator’s Text for the the final sticky paragraphs which include important issues we care about including but not limited to Comprehensive Sexual Education, child and early forced marriage, diversity and issues of sexual orientation and gender identity, women’s sexual and reproductive health and rights, and language of Post 2015 which some friendly governments who support a gender equality stand alone goal are being careful of having this language in fact limit in some way post 2015 language down the line in the Post 2015 process. Climate Change language: The Commission is deeply concerned that climate change poses a challenge to the achievement of sustainable development and that women and girls are disproportionately affected by the impacts of desertification, deforestation and natural disasters, persistent drought, extreme weather events, sea-level rise, coastal erosion and ocean acidification, and is deeply concerned that the adverse impacts of climate change on women and girls, especially those living in poverty can be exacerbated by gender inequality and discrimination, and expresses profound alarm that the emissions of green house gas emissions continue to rise globally, remains deeply concerned that all countries, particularly developing countries, are vulnerable to the adverse impacts of climate change and are already experiencing increased impacts, including persistent drought and extreme weather events, sea-level rise, coastal erosion and ocean acidification further threatening food security and efforts to eradicate poverty and achieve sustainable development and in this regard emphasizes that adaptation to climate change represents an immediate and urgent global priority. AD REF. Promote the integration of a gender perspective in environmental and climate change policies and strengthen mechanisms and provide adequate resources to ensure women’s full and equal participation in decision-making at all levels on environmental issues, in particular on strategies and policies related to the impacts of climate change, such as extreme weather events and slow onset impacts, including drought, ocean acidification, sea level rise, and loss of biodiversity on the lives of women and girls; and ensure a comprehensive approach to address the hardships faced by women and girls by integrating their specific needs into humanitarian response to natural disasters and into the planning, delivery and monitoring of disaster risk reduction policies to address natural disasters and climate change, and ensuring sustainable natural resources management. AD REF AD REF means language has been finalized. 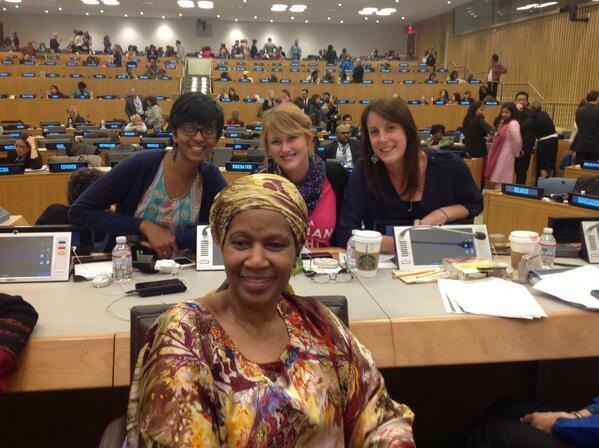 Last day of CSW 58 – Question will there be agreed conclusion? 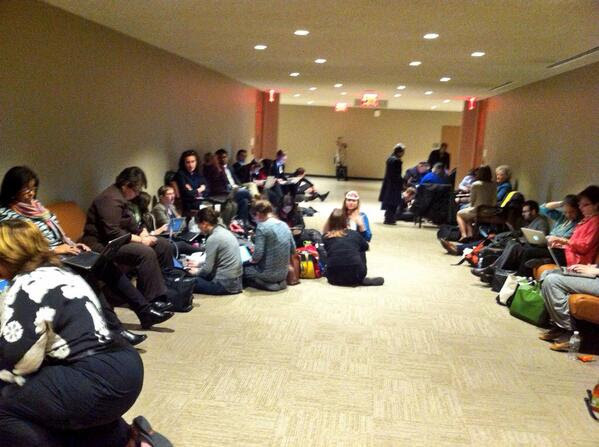 Scenes from Thursday night at the UN where negotiations on Agreed Conclusions continued until 2.00 a.m. 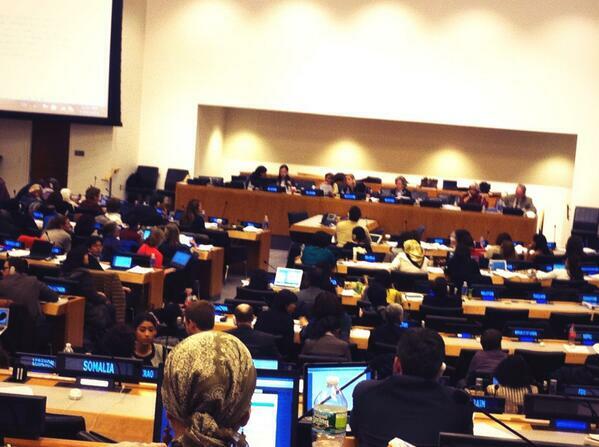 This is a very accurate account of issues presented during CSW 58.